Equipped with a complex, but highly employed mechanism in office seating – Konstantin Grcic set out to design a low-cost task chair for a student at a college campus. The synchronized seat and backrest mechanism proposed by Vitra is not new to task chair design, but with four years to develop and learn, Konstantin and his team designed a chair that performs all the functions of an office chair, but has a different grammar. 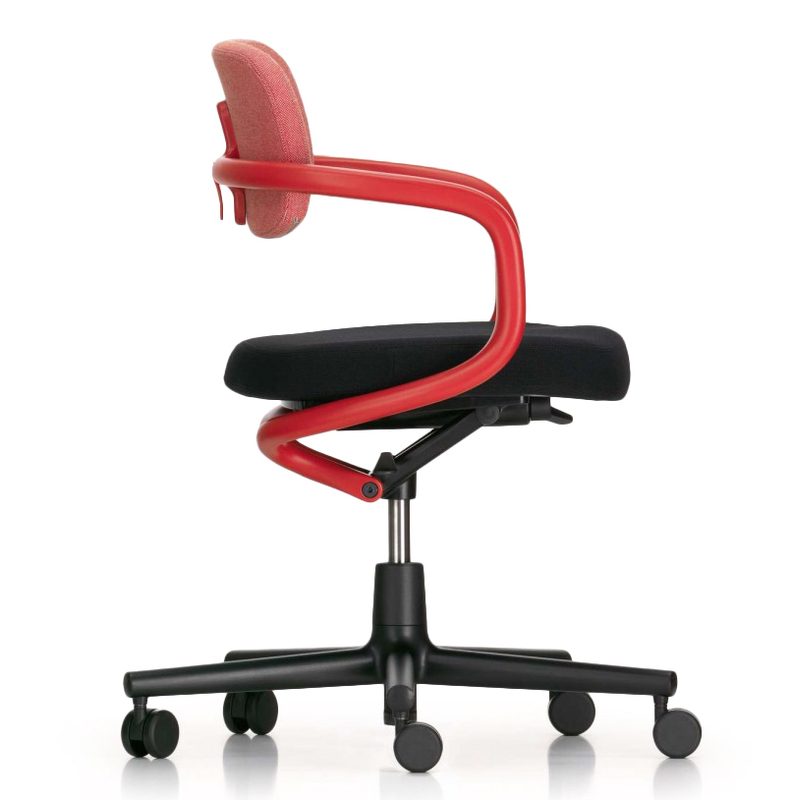 It looks recognizable, but not necessarily recognized as an office chair. Still, even this statement masks its attributes. Konstantin points out that most people readily mistakes Allstar for a studio chair that is capable of performing limited functions that don’t match up to other tasks chairs. Its most characteristic feature, the elegant loop armrest, that gives it its simplicity is also what houses its function. Aside from adjustable armrests, Allstar behaves like any other task/office chair, therefore defying the typical stereotype of how a task chair should look. Read Disegno’s interview with Konstantin Grcic to learn more about the design of Allstar.